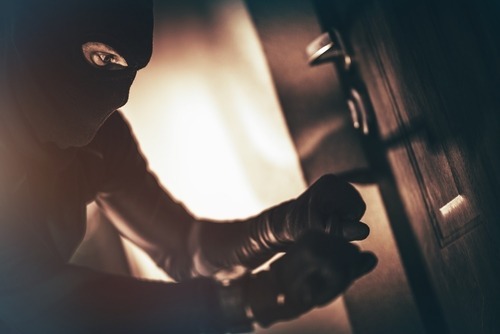 One of the things criminals look for prior to committing any type of burglary or robbery is security cameras. Whey they see them, a criminal may choose another target for their unlawful endeavors. It’s not uncommon for people who want security to try and avoid the costs associated with purchasing such a camera. In order to do this, people will often put up a fake security camera that appears to be the real thing. This may save them money in the short run, but may be extremely costly for them in the long run. A criminal with even a little bit of experience will know the difference between a fake surveillance camera and one that is real. There may be a fake commercial security camera that comes with a blinking red light. The theory behind it is to draw attention and show potential criminals there is someone watching them. In reality, the blinking red light does more harm than good. Experienced criminals know a real residential security camera won’t have visible blinking red lights. This feature lets a criminal know immediately it is a dummy surveillance camera. Another way criminals know it’s not a real security camera is because of missing wires. An actual surveillance camera has multiple wires utilized to provide power. A dummy surveillance camera may have a single wire or no wires. This is a good indication it’s not real. Having a fake video security camera gives the owners a false sense of security. The fact that a home or business has a fake security camera installed is information that could easily be told or overheard by the wrong person. This can put the home or business at serious risk for criminal activity. Such information has been used by others in a community to commit crimes against a home or business. Angry neighbors could use the information about a fake commercial security camera to settle a personal score and more. Security experts advise people that mixing real and fake surveillance cameras will make things worse for them. Having real cameras may make fake security cameras stand out. It will let a criminal know what areas of a home or business are not being monitored. Once the location of the fake cameras is determined, a criminal can devise an effective entry and exit plan. The most a fake security camera can do for a person is deter a criminal from committing a crime. It provides no actual security. Once a criminal determines a commercial security camera is not real, they know the fake cameras are not able to record any illegal activity. It won’t be able to record the faces of individuals who commit a crime. It’s important for business and homeowners to know that using fake surveillance cameras for security has legal implications. During the past several years a number of business owners and homeowners have been sued for their use of fake surveillance cameras. The reason is that the fake cameras provide a false sense of security. Many of the plaintiffs in the lawsuits claimed they were misled and felt the area where they were located was under constant surveillance. In many cases, the businesses and individuals would have been much better off if they had not installed any fake cameras. 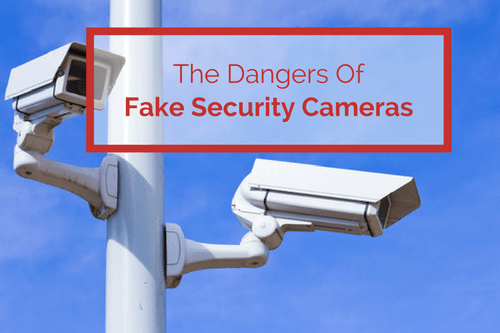 Some individuals believe that having a fake home residential security cameras or even using a fake security camera for their business could save them money. They’re cheaper than real video security cameras. When the costs involved with having things stolen as well as legal issues, a fake security camera may end up being more expensive than any real surveillance camera.